Mary Helen Bernstein has demanded explanations and prompts actions over the continued incarceration of Family Writers journalist, Moses Agbo who has been held hostage by Nigeria's Department of State Services, DSS since December 25, 2016 when he paid a courtesy visit to the leader of Indigenous People of Biafra, Nnamdi Kanu at Kuje Prison in Abuja. The California based activist, in the letter which she addressed to DSS Director, Lawal Musa Daura; Chief Justice of Nigeria, Hon. Justice W. S. Nkanu Onnoghen, CFR; and Secretary of the Supreme Court Complex Abuja District, Mrs Bilkisu A. Bashir, via mail, questioned why Moses Agbo has been left to languish in DSS dungeon for more than two months without trial in any court of competent jurisdiction in Nigeria. According to the letter, Mary Bernstein highlighted that continuous clamp down and intimidation of journalists in Nigeria, especially Biafran journalists, as well as deadly repression of Biafra activists in the country, portrays the retarded level of democracy and civilization characteristic of Nigeria's system of government. The letter stated that, "the World cannot take Nigeria seriously if civilization/democracy is in a vacuum." It went further to argue that in the modern world, young and vibrant Press correspondents like Moses Agbo are supposed to be granted state protection, and not continually hounded and suppressed as obtainable in Nigeria. "Courts do not facilitate extra judicial killings and cover them up. "Journalists and war correspondents are to be protected class, protected speech to disseminate unbiased information to the public. The media is integral to society,” the letter said while also calling for immediate and safe release of Moses Agbo, since it is certain that the Nigeria government has no case against him. The World cannot take Nigeria seriously if civilization is in a vacuum. Is it a crime in Nigeria now to visit a prisoner? In the civilized world where I reside USA, Courts do not facilitate extra judicial killings and cover them up. Journalists and war correspondents are to be protected class, protected speech to disseminate unbiased information to the public. The media is integral to society. Moses Agbo was targeted as a visitor to Nnamdi Kanu because he is a high profile teen journalist. How it works in a normal judicial system in the United States is the media is included in the adjudication process so much so that mailboxes within the clerk’s offices of the courts contain judicial calendars for the parameter of time 1-2 weeks so that if the media elects to attend hearing, coverage in news articles is possible. What we also have that appears to be foreign to your Country is databases for both prison and the court systems so that the public can be privy to what court cases are being conducted, who has been released from prison and who is incarcerated. The veil of secrecy is noted by the entire world human rights currently these “secret trials” and these secret dungeon torture imprisonments under the radar. I urge you to watch the television show Law and Order to see how district attorneys and police work together for prosecution of crimes. This is opposed to Nigeria wherein the police abduct, kill and prosecution attorneys pursue innocent citizens like Nnamdi Kanu and others for ridiculous reasons. Nnamdi Kanu was not secretly imprisoned at least. If you have him imprisoned why the secrecy? What is your ransom? What do you want???!! Nnamdi Kanu case taking three years for a bail application is preposterous. A first year associate or a law student here could handle in a matter of minutes that 3 judges appear baffled and perplexed on such a trivial issue is unfathomable. The judiciary ideally would be the pinnacle of a country’s intellect consisting of effectual leadership. A nominal decision on a bail application appears to leave judges in Nigeria dumbfounded! Why are your police not looking for this journalist if they are not culpable in his disappearance? Because Nnamdi Kanu case is such a high profile case internationally, you have tarnished not only Nigeria reputation on the World stage by your antics, lack of prosecution of violent crimes Nigeria will likely never recover. Now with the missing teen journalist and other deaths of teens you certainly will never recover. I never understood when I would hear on social media and other vehicles why people in some countries did not trust the police as this is completely foreign to me. The police are protectors and enforcers of law here in the United States as opposed to covert hit men as well as shaking people down for money at every turn. 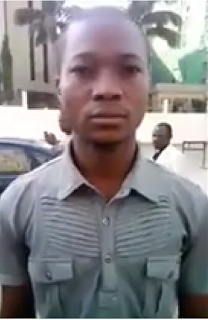 The World has also taken notice that Moses Agbo a teen journalist was abducted and you have done nothing. Are people not allowed to go to court in spite of public facility? Is it a crime to bring toothbrush and book on Christimas Day to visit a prisoner or is this punishable by death by your police, DSS military death squads? This child missing has destroyed me for I knew him, spoke with him a live, viable journalist. The burial of another, this precious young man on March 3 2017 after your government shot down as we all witnessed worldwide on video innocent young people ushering in an administration American that has donated millions of dollars towards your continual existence that you have ruined this ally. You return kindness with genocide on our supporters in your country. In the video the sister of this 17 year old child collapses. Your despicable government and even more despicable corrupt judiciary does nothing to prosecute these crimes against children!!! ii. Right to be informed of the Facts and Ground of Arrest. Section 35(4) provides that an arrested or detained person shall be brought before a court of law within reasonable time. For the first time, reasonable time is defined under section35(5) as one day where there is a court of competent jurisdiction within 40km radius, and in any other case, two days or such longer period, in the circumstance which the court may regard as reasonable. The subsection further provides that if an accused person is not tried; (a) Within 2 months from the date of arrest or detention in case of persons who is in custody or not entitled to bail or (b) within three months in case of persons who have been released on bail, he shall without prejudice to further proceedings that may be brought against him, be released unconditionally or on such conditions as are reasonably necessary to ensure that he later appears for trial. The effect of this provision is that, where the accused person is not brought to court within a reasonable time, whatever reasons the police may have for his continued detention, he must be released on bail unconditionally or conditionally, after 2 months or 3 months respectively depending on whether or not he is entitled to bail. 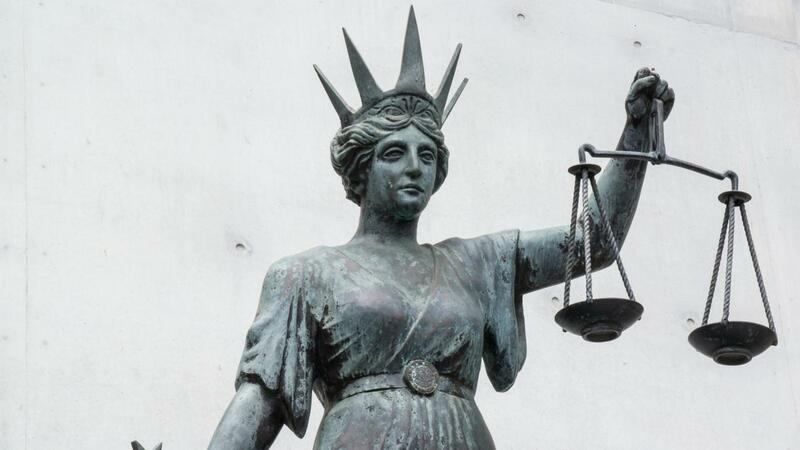 It should be noted that this procedural safeguard as regards trials not available to a person charged with a capital offence, since he is not ordinarily entitled to bail because of the gravity of the offence. Section 35(6) provides that anybody in respect of whom any of the provisions of this section has been breached is entitled to compensation and public apology by the appropriate authority. The appropriate authority could be the police or any other detaining body. In Dele Giwa v I.G.P , Dele Giwa was unlawfully arrested and detained without informing him of the charges against him in writing. He was released later and went to court relying on the constitutional provision. He was awarded N10, 000 and the IGP, Mr. Etim In yang, apologised to him in writing. It is to act as a caution against the breach of the human right provisions. Bail in Capital Cases ; Section 35(7)(a) provides;“nothing in subsection 4 shall be construed as allowing bail for a capital offender or suspect”. This seems that bail for a capital suspect is not ordinary. It must be granted under exceptional circumstances. It is clear that the constitution meant section 35(4) and (5) 32 as section 35(4) cannot stand on its own. However, in Amuda v. C.O.P, it was held that the section cannot be read to foreclose bail for an accused on the ground that it will undermine Constitutional provision of presumption of innocence as enshrined under section 36(5) Bada J. said, to say that a person accused of a capital offence cannot be granted bail is wrong because he has not been proved guilty. It seems that the Constitution is not as forbidding so it looks in the first glance. Therefore, Sections 36(5) and 35(7) should be read together alteram partem. A breach of this doctrine of fair hearing in a judicial inquiry renders the action unconstitutional, illegal and liable to be set aside. be tried within “a reasonable time.”. Trial within a reasonable time is fundamental to a fair trial because undue delay impairs the ability of an accused person to defend himself through the facts that are vital to his defence and witness might have died or the interval or the recollection of the facts by other witnesses might have become blurred. There is also the danger of the trial judge losing his impression of the demeanour of the witness after the lapse of time during which he has to watch the demeanour of witnesses. Undue delay is thus fraught with the danger of miscarriage of justice, and for that reason it is frowned at by courts. Furthermore, a public arrest exposes the person involved to anxiety and concern which is unfair to be prolonged unduly. What is reasonable time is, however, relative to the circumstances of each case. The relevant factors to be taken into account include, the length of delay, the reason for it, the amount of prejudice to the fairness of the trial occasioned by the delay and the accused person‟s assertion of his right. i) in the interest of defence, public safety, public order and public morality. iv) upon the satisfaction of court by the Minister of Government of the Federation or a Commissioner of a State that it would not be in the public interest for any matter to be publicly tried, the court may hear such evidence in camera. vi) When an enactment expressly requires that a trial shall be held in camera. In all these circumstances, when proceedings are being heard in camera, except the court expressly stated otherwise, bona fide representative of mass media, court officials and legal practitioners appearing in the case are permitted in court. I attempted to fax but the moronic federal judicial service comm and judicial council has invalid fax numbers listed on their website. The country code is repeated digits as the actual fax number digits. Cameroon ministry of justice had correct facsimile number listed so I was able to reach them via this medium. FROM THE BIAFRAN RABBI.DEAR MARY,SUCH YOU ENCOUNTERED(THE ATTEMPTED INVALID FAX NUMBER)IS SAME WITH AN ILLEGAL ENTITY CALLED THE BRITISH NIGERIA SINCE DECEMBER 31,2013.THIS ENTITY AS CREATED BY AN AGENT OF THE BRITISH WITH A LIFE- SPAN OF 100 YEARS COUPLED WITH THE RIGHTS OF THE INDIGENOUS PEOPLES UNDER UNITED NATIONS,WE THE BIAFRANS THANK YOU FOR THIS WONDERFUL EFFORT. YOU HAVE BEEN AN ALLY OF THE LIGHT OF BIAFRA WHICH ONLY CAME FROM HASHEM,THE LORD GOD OF ISRAEL.WE ARE GRATEFUL TO YOU AND BELIEVE IN GOD OF ZION THAT THIS DARKNESS CREATED BY THE BRITISH EMPIRE SHALL SOON BE OVER! WE(BIAFRANS) LOVE FREEDOM,JUSTICE,PEACE,UNITY UNLIKE THE TERRORISM,HATRED,CORRUPTION,ISLAMIZATION AND DEATHS IN THIS CONTRAPTION CALLED NIGERIA.GOD BLESS MARY BERNSTEIM!GOD BLESS BIAFRANS! !GOD BLESS AMERICA/ERETZ YISRAEL!!! URS THE BIAFRAN RABBI.